1. It applies to all newly-filed criminal cases, including those governed by Special Laws and Rules1, in the First and Second Level Courts, the Sandiganbayan and the Court of Tax Appeals. It also applies to pending criminal cases with respect to the remainder of the proceedings. It shall not apply to cases under the Rule on Summary Procedure. 3. Motions for inhibitions based on Rule 137 shall be resolved immediately or within two calendar days from filing. 4. Prohibited motions shall be denied outright before the arraignment without need of comment. 1. Motion judicial determination of probable cause. 2. Motion for preliminary investigation filed beyond the five (5) day period in inquest proceedings4 or when preliminary investigation is required5 or allowed in inquest proceedings and the accused failed to participate despite due notice. 3. Motion for reinvestigation of the prosecutor who recommends the filing of the information once the information has been filed before the court (1) if the motion is filed without prior leave (2) when preliminary investigation is required and has been actually conducted, and the grounds relied upon in the motion are not meritorious, such as issues of credibility, admissibility of evidence, innocence of the accused, or lack of due process when the accused was actually notified, among others. 6. Motion to suspend arraignment based on grounds not stated by the rules8. 7. Petition to suspend criminal action based on prejudicial question when no civil case has been filed9. 6. Motion for postponement is prohibited, except if it is based on acts of God, force majeure or physical inability of the witness to appear and testify. If the motion is granted based on said exceptions, the moving party shall be warned that the presentation of its evidence must still be finished on the dates previously agreed upon. A motion for postponement shall at all times be paid with the Office of the Clerk of Court. The Branch COC shall not accept the motion unless accompanied by the original receipt. 7. If a party fails to qualify for PAO services, the IBP shall provide free legal assistance to the party. The IBP shall submit the list of lawyers to the Executive Judge for possible appointment as counsel de officio in such cases. 9. Consolidation of cases may be done even before raffling provided a motion for consolidation accompanies the filing before the Office of the Clerk of Court. If a new case is filed involving an accused who has been subjected to further investigation by the office of the prosecutor over an incident involving the same subject matter as that of the already raffled information, the new case shall be assigned directly to the court where the earlier case is pending, provided, there is a motion for consolidation from the office of the prosecutor that accompanies its filing in court. The proceedings already had in the old case may be adopted. 10. Archiving of cases shall be done within the period prescribed under the guidelines11. A criminal case shall be archived only if, after the issuance of the warrant of arrest, the accused remains at large for six (6) months from the delivery of the warrant to the proper peace officer. Such case may likewise be archived when proceedings therein are ordered suspended for an indefinite period because: a.) the accused appears to be suffering from an unsound mental condition, b.) a valid prejudicial question in a civil action is invoked during the pendency of the criminal case, c.) an interlocutory order or incident in the criminal case is elevated to a higher court which issued a TRO or writ of preliminary injunction, d.) when the accused has jumped bail before arraignment and cannot be arrested by the bondsman. 11. Arraignment and Pre-trial shall be set within ten (10) calendar days from date of the court’s receipt of the case for a detained accused, and within thirty (30) calendar days from the date the court acquires jurisdiction over a non-detained accused. The setting shall be incorporated in the commitment order or in the approval of the bail in other cases. Notices shall be sent to the accused, his/her counsel, private complainant or complaining law enforcement agent, public prosecutor, and witnesses whose names appear in the information for purposes of plea-bargaining, arraignment and pre-trial. 12. In multiple cases, the court, upon personal examination of the accused may allow a waiver of the reading of the information upon the full understanding and express consent of the accused and his/her counsel, which consent shall be expressly stated in both the minutes/certificate of arraignment and the order of arraignment. 13. Plea bargaining except in drug cases shall immediately proceed, provided the private offended part in private crimes, or the arresting officer in victimless crimes, is present to give his/her consent with the conformity of the public prosecutor. Thereafter, judgment shall immediately be rendered in the same proceedings. 14. If the accused pleads guilty to the crime charged in the information, judgment shall be immediately rendered, except in those cases involving capital punishment. 15. If no plea bargaining or plea of guilty, the court shall immediately proceed with the arraignment and the pre-trial. The schedule of the trial dates, for both the prosecution and the accused, shall be continuous and within the periods provided in the Regular Rules/Special Rules. The trial dates may be shortened depending on the number of witnesses to be presented.From the time of the arraignment and pre-trial, it shall be set for trial within thirty (30) days. Trial on the merits shall be conducted for a period of six (6) months only and promulgation of judgment is set within ninety (90) days from submission of the case for decision for regular rules. For drug cases, trial shall be finished not later than sixty (60) days from filing of the information. Decision shall be rendered within fifteen (15) days from submission of case for decision. For environmental cases, from arraignment and pre-trial, it shall be set for hearing within thirty (30) days. Trial on the merits shall be conducted for a period of three (3) months then filing of memoranda is within thirty (30) days and the decision shall be rendered within sixty (60) days from the last day to file memoranda. Disposition period shall be within ten (10) months from date of arraignment. For intellectual property right cases, from arraignment and pre-trial, it shall be set for hearing within thirty (30) days. Trial on the merits shall be conducted for a period of sixty (60) days then filing of memoranda is within thirty (30) days and the judgment shall be rendered within ninety (90) days from submission of case for decision. d. Theft under Art. 308, RPC. e. Estafa under Art. 315(1), RPC, except estafa under Art. 315 (2) and (3). f. Other forms of swindling under Art. 316, RPC. g. Swindling of a minor under Art. 317, RPC. h. Other deceits under Art. 318, RPC. i. Malicious Mischief under Art. 327, RPC. j. Libel by means of writings or similar means under Art 355, RPC. k. Threatening to publish and offer to present such publication for a compensation under Art. 356, RPC. l. Prohibited publication of acts referred to in course of official proceedings under Art. 357, RPC. m. Grave Slander (Grave Oral Defamation)- of serious and insulting nature under Art. 358, par. 1, RPC. n. Simple Slander ( Oral Defamation)- not of a serious and insulting nature under Art. 358, RPC. o. Grave Slander by Deed- of a serious nature under Art. 359, par. 1, RPC. p. Simple Slander by Deed- not of a serious nature under Art. 359, par. 2, RPC. q. Incriminating innocent person under Art. 363, RPC. r. Intriguing against honour under Art. 364, RPC. s. Libel under R.A. 10175 (Cybercrime Prevention Act of 2012) where the liability may be civil in nature. u. Intellectual property rights cases where the liability may be civil in nature. 18. The referral of the case for mediation shall be made only after the arraignment and the pre-trial/preliminary conference. The mediation shall be terminated within a non-extendible period of thirty (30) calendar days. Except those case mentioned above, criminal cases under the Rule on Summary Procedure shall not be referred to mediation. 19. Petition for bail filed after the filing of the information shall be set for summary hearing after arraignment and pre-trial. It shall be heard and resolved within a non-extendible period of thirty (30) days from the date of the first hearing, except in drug cases which shall be heard and resolved within twenty (20) calendar days. The accused need not present evidence to rebut the prosecution’s evidence. Motion for reconsideration on the resolution of petition for bail shall be resolved within a non-extendible period of ten (10) calendar days from date of submission of the motion. 20. For First Level Courts, in all criminal cases, including those covered by the Rule on Summary Procedure , the testimonies of witnesses shall consist of the duly subscribed written statements given to law enforcement officers or the affidavits or counter-affidavits submitted before the investigating prosecutor and if such are not available, testimonies shall be in the form of judicial affidavits. The trial prosecutor may opt to dispense with the sworn statements submitted to the law enforcement officers and instead prepare judicial affidavits or modify or revise the said sworn statements. 21. 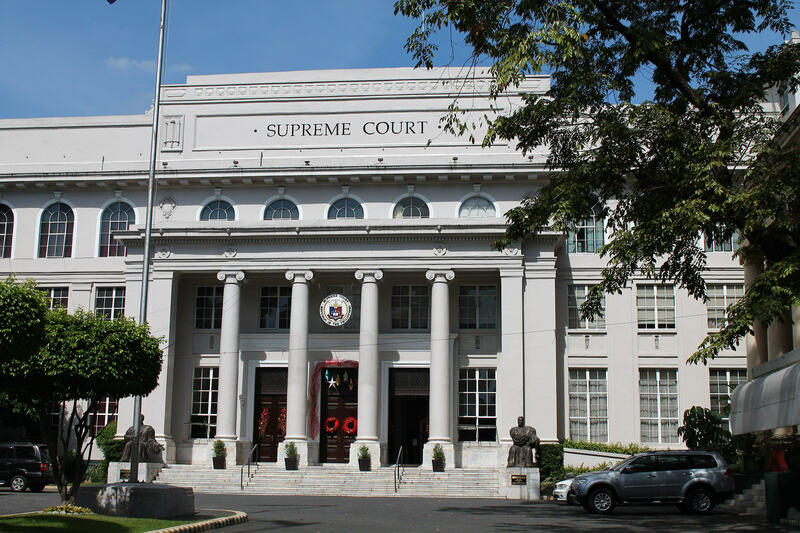 For Second Level Courts, Sandiganbayan and Court of Tax Appeals, where the demeanor of the witnesses is not essential, like the forensic chemist, medico-legal officers, investigators, auditors, accountants, engineers, custodians, expert witnesses and other similar witnesses, who will testify on the authenticity, due execution and the contents of public documents and reports, and in criminal cases that are transactional in character, such as falsification, malversation, estafa or other crimes where the culpability or innocence of the accused can be established through documents, the testimonies of the witnesses shall be the duly subscribed written statements given to law enforcement officers or the affidavits or counter-affidavits submitted before the investigating prosecutor, and if such are not available, testimonies shall be in the form of judicial affidavits. 22. During the pre-trial/preliminary conference, the court shall require the parties to stipulate on the testimonies of witnesses who have no personal knowledge of the material facts constituting the crimes, such as, forensic chemists, medico-legal officers, investigators, auditors, accountants, engineers, custodians, expert witnesses and other similar witnesses, who will testify on the authenticity, due execution and the contents of public documents and reports; corroborative witnesses; and those who will testify on the civil liability. This is without prejudice to additional direct and cross examination questions. 23. The court shall encourage the accused and the prosecution to avail of Secs. 12 and 13 and 15, Rule 119 of the Rules of Court15. 24. In the absence of the counsel de parte, the hearing shall proceed upon appointment by the court of a counsel de officio. 25. The offer of evidence, the comment/objection thereto, and the court ruling thereto shall be made orally in open court on the same day after the presentation of the last witness either for the prosecution or for the defence. The court shall ensure that the offered evidence are submitted to court on the same day it is offered. 26. The court shall inquire from the accused his/her desire to move for leave of court to file demurrer to evidence or to proceed in presenting his/her evidence. If the accused orally moves for leave of court to file a demurrer to evidence, the court shall orally resolve the same. If the motion for leave is denied, the court shall issue an order for the accused to present and terminate his/her evidence on the dates previously agreed upon, and to orally offer and rest his/her case on the day his/her last witness is presented. If accused insists on filing the demurrer to evidence without leave, the previously scheduled dates for the accused to present evidence shall be cancelled. The demurrer shall be resolved by the court within a non-extendible period of thirty (30) calendar days from the date of the filing of the comment or lapse of the ten (10)-day period to comment. If the motion for leave of court to file demurrer to evidence is granted, and the demurrer to evidence is denied, the accused shall likewise present and terminate his/her evidence, one day apart, morning and afternoon and shall orally offer and rest his/her case on the day his/her last witness is presented. 27. The court shall strictly adhere to the rule that a witness has to be fully examined in one (1) day. 28. The submission of memoranda is discretionary on the part of the court which in no case shall exceed twenty-five (25) pages in length, single-spaced, on legal size paper, using size 14 font. Its filing is non-extendible and shall not suspend the running of the period of promulgation of the decision. 29. Judges who conducted the trial and heard the testimonies of witnesses shall submit the case for decision even if the transcript of stenographic notes are incomplete or missing. If the case was heard completely by another judge, not the judge tasked to write the decision, the latter shall direct the stenographers concerned to submit the complete transcripts within the period of thirty (30) calendar days from date of his/her assumption to office. 30. The judge shall announce in open court and include in the order submitting the case for decision, the date of the promulgation of its decision which shall not be more than ninety (90) calendar days from the date the case is submitted for decision, except when the case is covered by special Rules and other laws which provide for a shorter period. 31. A motion for reconsideration of judgment of conviction or motion for new trial under Rule 121 filed within the reglementary period of fifteen (15) days from promulgation shall be resolved within a non-extendible period of ten (10) calendar days from the submission of the comment of the prosecution or even in the absence of comment. 32. The physical inventory of cases and preparation of the semestral report16 shall not suspend court hearings. 33. All courts covered by the Revised Guidelines shall accomplish and submit a periodic report of data in a form to be generated and distributed by the Committee. 34. Non-compliance with the Revised Guidelines, including failure to observe the timelines and deadlines herein provided, is a ground for disciplinary action. 35. MORE POWER AND GOD BLESS THE ENTIRE JUDICIARY!!! 1. ↑ R.A. 9165, Cybercrime Prevention Act of 2012, Rules of Procedure for Environmental Cases, Rules of Procedure for Intellectual Property Rights Cases, and Criminal Cases cognizable by the Family Courts and Commercial Courts. 2. ↑ Admin. Circular No. 3-99. 3. ↑ . Sec. 7, Rule 15 of the Rules of Court. 5. ↑ Sec. 8, Rule 112. 6. ↑ Sec. 3, Rule 117. 7. ↑ Sec. 9, Rule 116. 8. ↑ . Sec. 11, Rule 116. 9. ↑ Sec. 7, Rule 111. 10. ↑ Sec. 5, Rule 110. 11. ↑ SC Admin. Circular No. 7-A- 92; OCA Circular No. 89-2004. 12. ↑ . AM. No. 03-1- 09-SC. 13. ↑ R.A. No. 1161 as amended by R.A. No. 8282. 14. ↑ R.A. No. 9679. 15. ↑ Rule on the application for examination of witness for accused before trial and on the conditional examination of witness for the prosecution. 16. ↑ Administrative Circular No. 76-2007. Good to have this kind of rules. But the framers forgot that the hearing is not only the work of the judge But it requires the participation of the Prosecutors assigned to the court. If the hearing is from monday to friday, my question is, on what day will the Prosecutors resolve the complaints assigned to them for preliminary investigations?